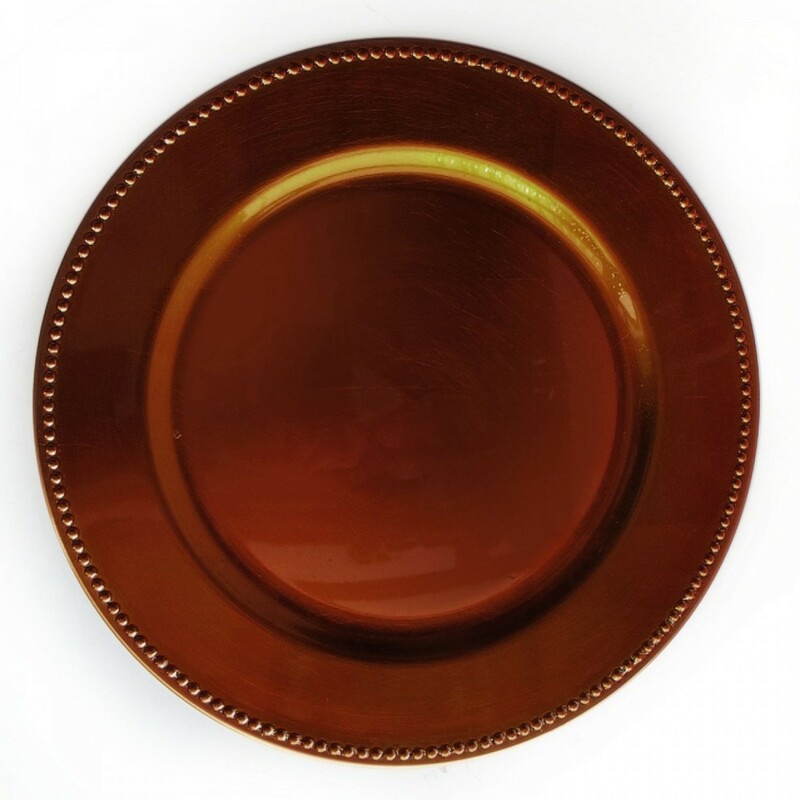 Home > Products > ChargeIt by Jay Copper Beaded Round Charger Plate 13"
Use the ChargeIt by Jay Copper Beaded Round Charger Plate 13" to serve multi-course meals at wedding receptions and other upscale settings. Featuring a beaded rim and rich metallic finish, this stunning piece exudes an elegance that will enhance any food presentation. Constructed from melamine, this charger is durable yet lightweight so it resists breakage and is easy to carry. This product will complement a wide variety of dinnerware, making it an excellent addition to fine dining establishments. For added convenience, this item also prevents spills and mess from staining the table. To keep this charger plate in good condition, hand washing is recommended.